Sekiro: Shadows Die Twice is the latest, grueling RPG courtesy of the lovely folk over at FromSoftware. While their titles are often some form of video game torture, they’re also pretty damn great and have plenty of content and lore to sink your teeth into. Here’s what we know on how long it takes to beat Sekiro. Sekiro is a pretty lengthy game in and of itself, with plenty of boss battles to take on, exploring its lush world to be done, and much more. However, the amount of time it actually takes you to beat will largely depend on your skill level. 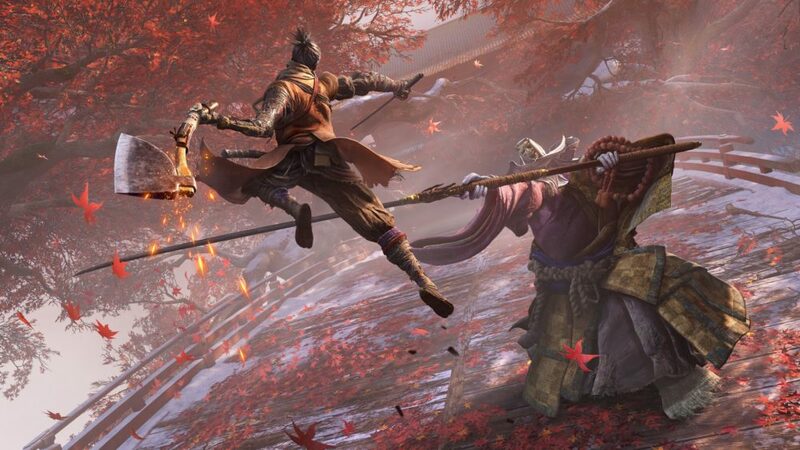 Simply put, Sekiro’s difficulty is a huge factor in how long it’s going to take to beat. If you’re a fairly competent player who gets used to its parry-focused combat quickly, or just find yourself breezing through the various bosses in the game, you’ll likely take 30-40 hours to beat Sekiro. On the other hand, you could get absolutely crushed by some of the bosses in Sekiro, and at that point, the game can not only get incredibly frustrating, but you can be looking at spending hours on just a single boss battle. As such, expect to play upwards of 50-60 hours if you find the game to be a real grind. As you’ve no doubt guessed or read, Sekiro has a bunch of different bosses and mini-boss fights you’ll need to take on during your journey to save the child you were sworn to protect. There are 13 boss fights that you’ll take on through the duration of your adventure, though one of them is kind of a repeat. However, keep in mind that within those 30-50 hours you spend playing through Sekiro, you’ll have a bunch of mini-bosses to contend with that aren’t listed here, too. You can check out the full list of boss battles below. That’s everything you need to know on how long Sekiro takes to beat, as well as a full list of all boss battles. For more tips, tricks, and guides on the game, be sure to check out our ever-expanding Sekiro guide wiki.